A true masterpiece of American cheese-making. 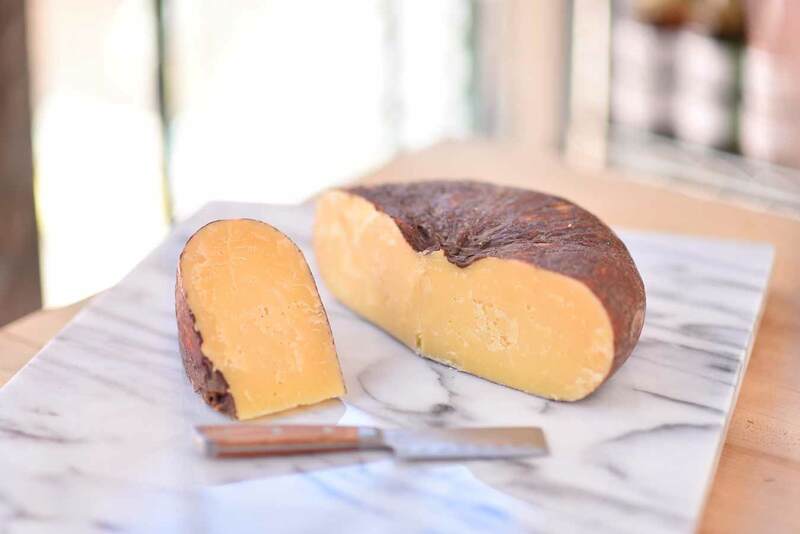 Made like fresh Monterey Jack and further aged for another 7 to 10 months. Firm, pale yellow with a sweet nutty flavor. 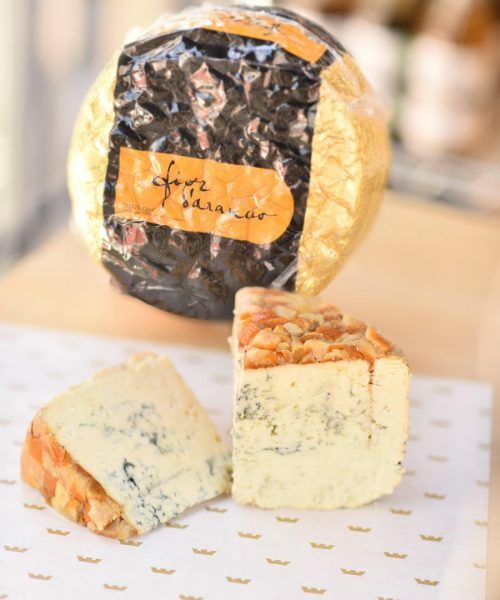 Tom Vella began production in 1915 in Sonoma and production has not slowed since. Wheels are still hand formed and contain vegetable rennet rather than animal rennet. 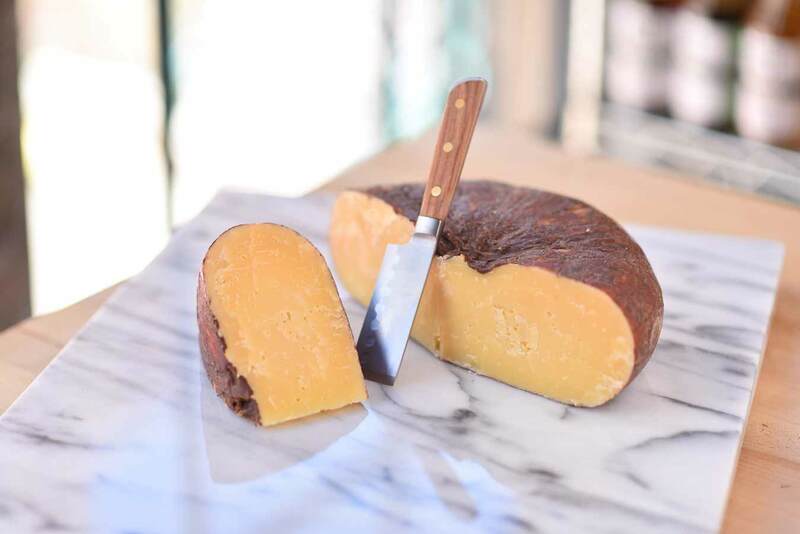 It's characteristically dark brown rind is a result of a safflower, unsweetened cocoa powder, and black pepper rub which allows for an uncracked, evenly aged finished cheese. 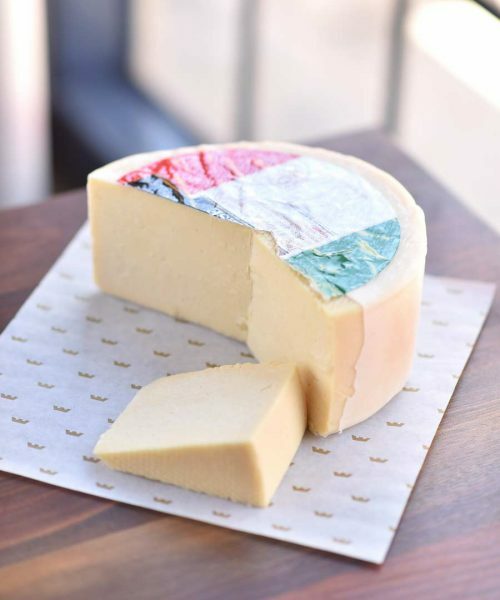 This cheese is well suited for both reds and whites, an added bonus from its well balanced flavors. A true masterpiece of American cheese-making. 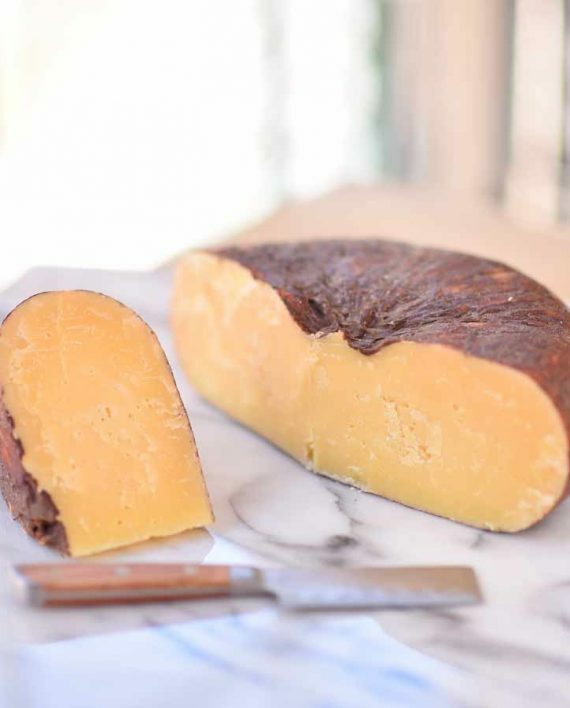 Made like fresh Monterey Jack and further aged for another 7 to 10 months. Firm, pale yellow with a sweet nutty flavor. 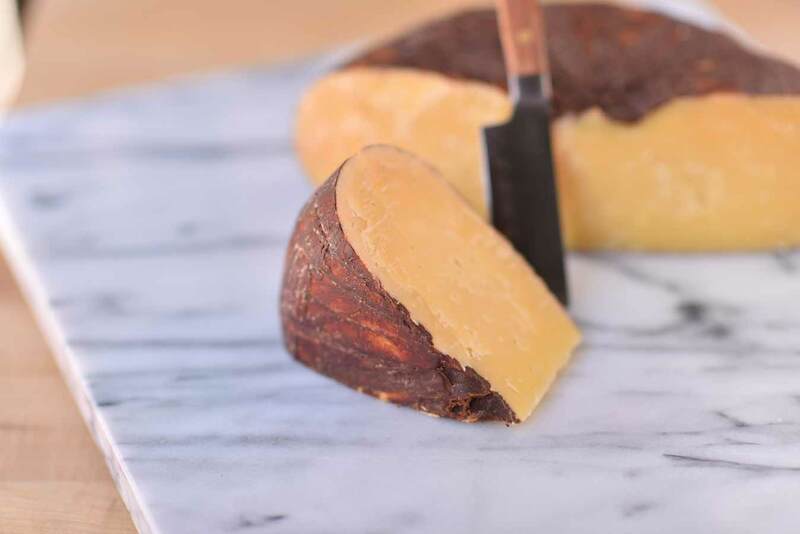 Tom Vella began production in 1915 in Sonoma and production has not slowed since. Wheels are still hand formed and contain vegetable rennet rather than animal rennet. 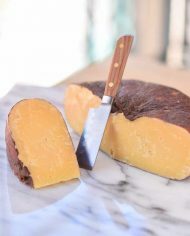 It’s characteristically dark brown rind is a result of a safflower, unsweetened cocoa powder, and black pepper rub which allows for an uncracked, evenly aged finished cheese. 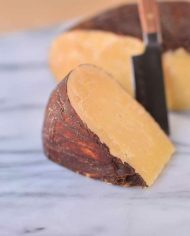 This cheese is well suited for both reds and whites, an added bonus from its well balanced flavors.